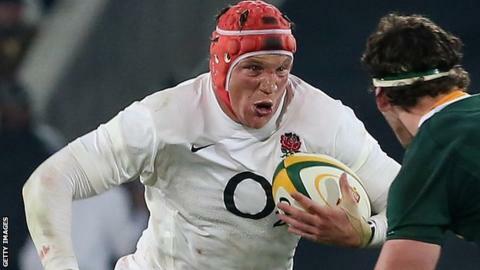 Exeter and England flanker Tom Johnson will return next week having missed all of the season with a neck injury. "Tom Johnson is probably going to play in our A League game next week," Chiefs head coach Rob Baxter told BBC Devon. Exeter's second-string travel to face Wasps in their penultimate Premiership A League game on 22 December. Johnson became the first Exeter player to appear for England since they were promoted to the Premiership in 2010 when he went on their tour to South Africa in 2012. Johnson has started five international matches in total and scored his only try in a in November 2012.